A kitchen zone is mainly defined by the appliances that are dispersed in the space: the fridge, stove/oven and sink areas. Moreover, these three zones are what make up everything we do in the kitchen, whether it be cooking/baking, cleaning up, washing, or eating. Now that we got that out of the way, let’s segment the 3 zones of kitchen storage. + Air tight leftovers keep food fresh for tomorrow’s school or work lunches. 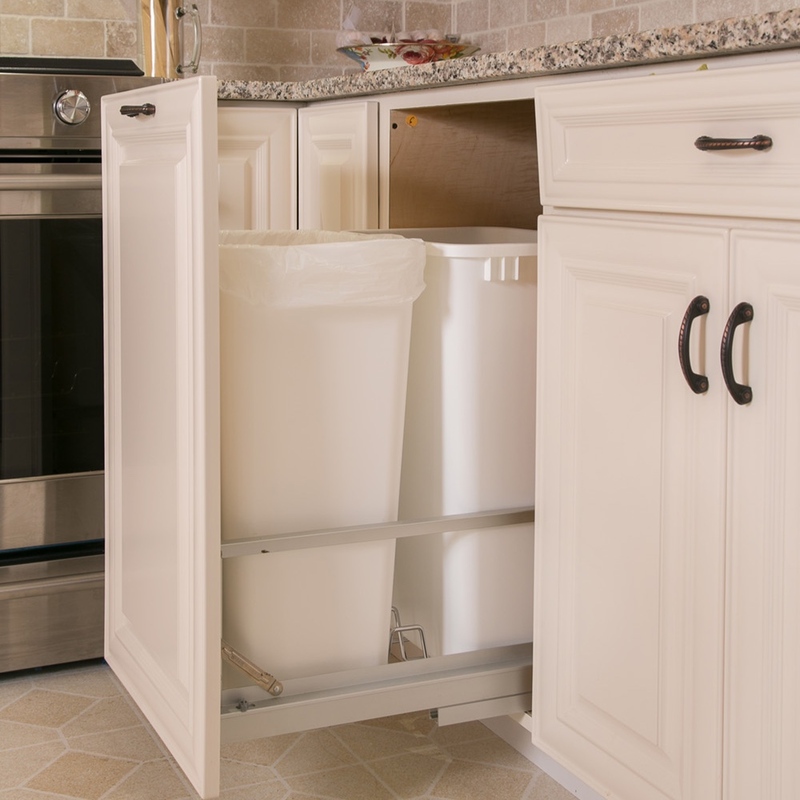 A storage container organizer will ease the pain or hunting down matching lids and containers. + Food storage wraps stored in an organized roll out keep them organized. + Placing glassware storage adjacent to the fridge will provide easy access to casserole dishes and lids custom made for leftovers, providing ease or reheating and serving leftovers. An accessible lazy susan puts these dishes at your finger tips. Storing the staples used most near the fridge makes it easy to incorporate them as you get in and out of the fridge to prepare meals and snacks. The sink is a highly used zone, seeing the most traffic over other areas of the kitchen. An uncluttered kitchen is always a goal, but sinks should be the most uncluttered of all since its uses include soap detergents and food preparation. Discarding trash or recyclables can be a quick task when it’s adjacent to the sink. The best option is a pull-out version, integrated by matching cabinet doors. + Creating spaces for sponges, steel and other utensil cleaning items makes washing dishes and meal clean up a breeze. The Tip-Out Tray at your finger tips, keeps your countertops clean and clear. 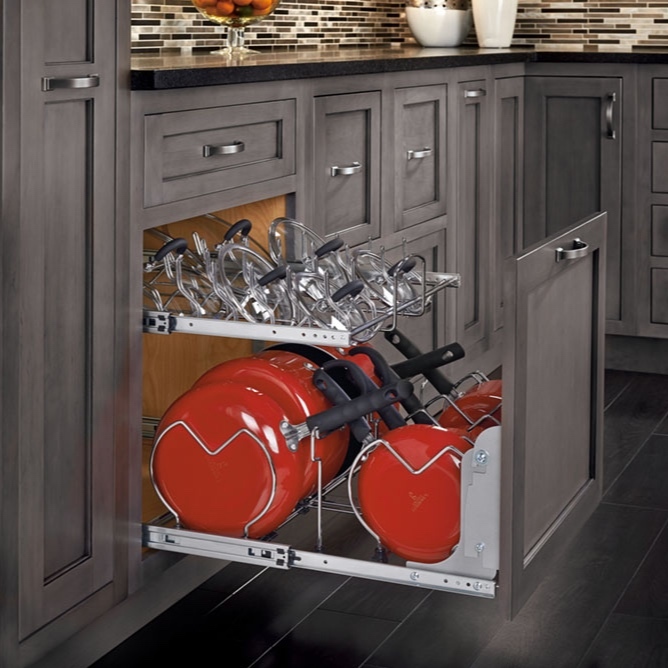 + Organized drawers dedicated to flatware, as well as cabinets designed to house dishware and cups, creating access between the dishwasher and everyday dishes will make putting away dishes less of a chore. 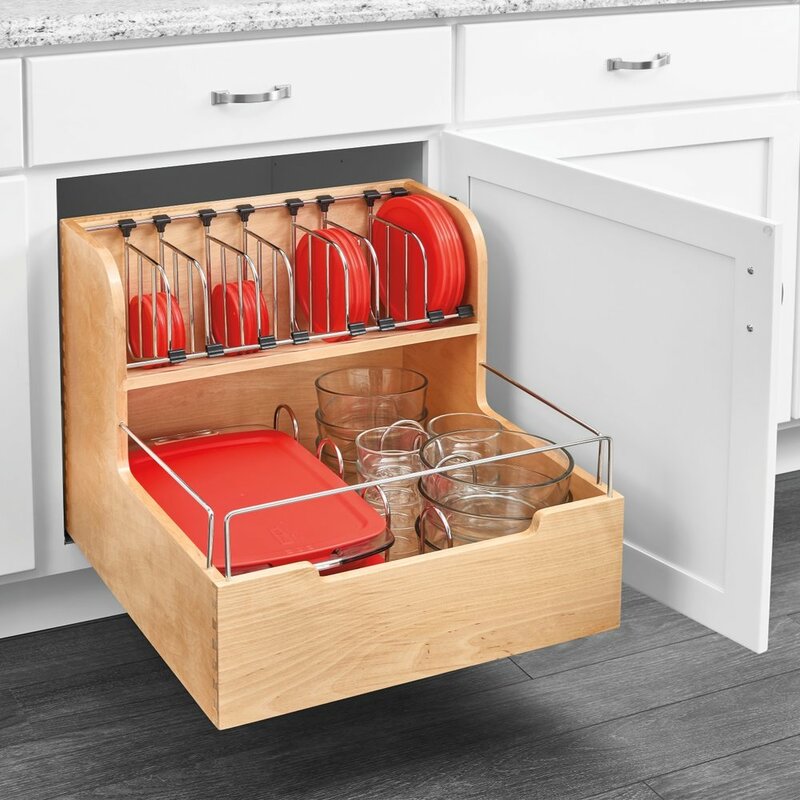 The dish-peg drawer system keeps your dishes organized. Last but not least, the super busy range + oven area. If you have an open floor plan or a doorway from the kitchen to the dining room, it makes sense to locate the range/ovens nearby. + The Pot/Pan Organizer basically eliminates you having to crawl into the cabinet to find a pot. Imagine a world with no clanging pots at the start of dinner prep! + The Cloud allows for smooth flowing glide out feature for small appliances. Place warming appliances like Crockpots, mixers and blenders in the ‘cooking zone’ zone. + Stowing away ‘flat items’ like muffin trays can take up precious real estate. Having these items together on their sides can double your storage space. These tray dividers are designed to do just that. — Linda Fennessy, Marketing Manager with Kitchen Magic.